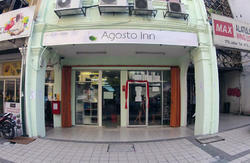 Newly renovated superior double rooms and upgraded breakfast at no extra cost! Free breakfast and WI-FI, free linen and blanket, lowest rate (air-conditioned private rooms) amongst the top 15, recommended by Rough Guide, Footprint and Stefan Loose! Note: Our 3-bed private room can accommodate 4 persons. An additional RM24 is payable upon check-in for the 4th person. 1.A clean and comfortable environment. 2.Individual air-conditioner in your room. 3.Strategic location - 4 min from airport bus (Star Shuttle) departure or arrival point, 4 min from metro station, 8 min from Puduraya Bus Terminal, Chinatown and Masjid India. 5.Free breakfast prepared by our cook (egg, toast, fruit, coffee and tea). 9.Our staff are multi-lingual - they speak English, Malay, Mandarin (Chinese), Cantonese and Hokkien (Taiwanese). 10.A comfy lounge at the roof top (with garden!) 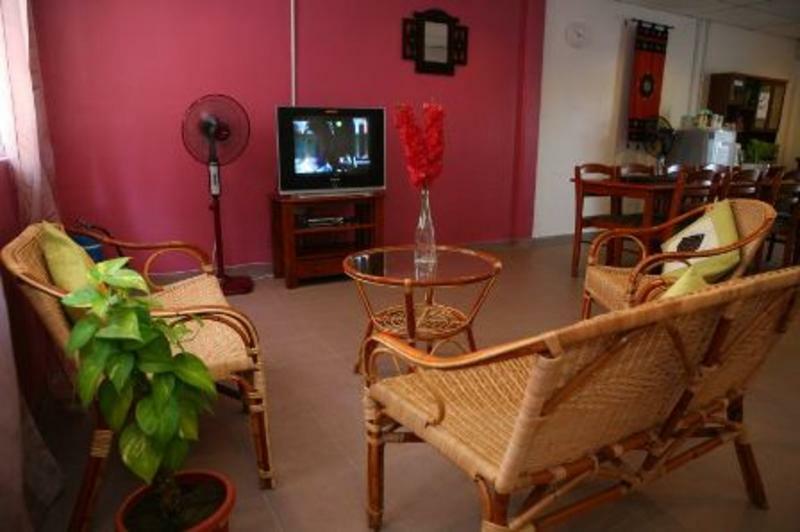 for you to wind down, watching satellite TV, make friends with travellers from all over the world. 11.No curfew or lockout is imposed. We are ready to welcome you for a perfect getaway. So pack your bags, bring an adventurous spirit and leave your troubles behind. Rest assured, we'll be waiting for you. 1. Our reception counter is normally closed from 10.30pm to 7.30am the next morning. However, we will wait for you if you inform us earlier. 2. If your arrival time is between 12am to 7.30am, you are required to pay the room charges for the previous day. For example, you are required to pay the room charges for 1st December if you arrive at 5.30am, 2nd December. 3. Check-in time: 2pm. Early check-in is subject to room availability. Note: Malaysians often identify a location by landmark, not the street name. Thus, it is useful to ask where is Maybank Headquarters or SEGI College rather than Hang Lekiu Road. Take Star Shuttle (bus fare MYR9 per person from KLIA, MYR8 per person from LCCT) from the airport to the bus stop beside Mydin Wholesale Emporium which is 5 minutes' walk from us. Once you are at the emporium, you will see Tun Perak Road (Jalan Tun Perak) where there is an elevated metro track in the middle of the road. Cross Tun Perak Road and walk towards Masjid Jamek metro station. You will pass Jalan Raja Chulan and then you will come to Jalan Hang Lekiu. Turn right and you will see Cintamani Hotel on your right. Proceed another 100m. You will see Klinik Setia on the left and Harts' House of Fine Chocolates on the right. We are above Klinik Setia on the second floor. You may enter through the side entrance. Purchase a coupon from the pre-paid taxi counter at the arrival hall. The budget taxi fare is about RM70 (about 30% surcharge after midnight). Show the address or map to the taxi driver and tell him that we are located at the same street as SEGI College, near Maybank Headquarters (Menara Maybank) and Jamek Mosque (Masjid Jamek). 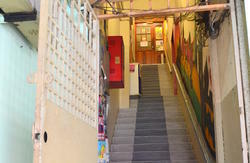 We are situated right above Klinik Setia on the second floor. You may enter through the side entrance. Most of the buses arriving from northern Peninsular Malaysia eg. Penang, Butterworth and Cameron Highlands will stop at the Puduraya Bus Terminal.We are just 8 minutes walk from the Puduraya. Take the pedestrian bridge to cross Pudu Road (Jalan Pudu) where you will see a row of shops including Citin Hotel, Kentucky Fried Chicken (KFC) and 7-11 at the corner. Walk towards Tun Perak Road where there is an elevated metro track in the middle of the road. You will pass Jalan Raja Chulan and then you will come to Jalan Hang Lekiu. Turn right and you will see Cintamani Hotel on your right. Proceed another 100m. You will see Klinik Setia on the left and Harts' House of Fine Chocolates on the right. We are above Klinik Setia on the second floor. You may enter through the side entrance. Most of the buses arriving from southern Peninsular Malaysia eg. Melaka, Johor and Singapore will stop at the Southern Integrated Terminal (TBS). From there, take the Light Rail Transit (LRT, the metro of KL) from Bandar Tasik Selatan station (within walking distance from TBS) and alight at Masjid Jamek station. At the exit of Masjid Jamek station, you will see a Burger King at one side and a McDonald at the other side of the road (Jalan Tun Perak). Go to the side where the McDonald is situated. Go straight on towards Maybank Headquarters. You will pass Lebuh Ampang, Jalan Tun H.S.Lee and then you will come to Jalan Hang Lekiu. Turn left and you will see Cintamani Hotel on your right. Proceed another 100m. You will see Klinik Setia on the left and Harts' House of Fine Chocolates on the right. We are above Klinik Setia on the second floor. You may enter through the side entrance.